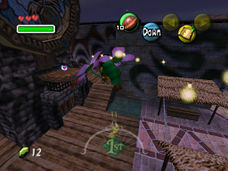 Inside the Stock Pot Inn in East Clock Town during any night between 12:00 AM to 6:00 AM. 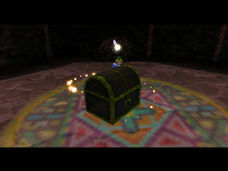 Once you have rescued Koume from the jungle maze, cleared the Woodfall Temple, and returned to the Tourist Center, you can play a game with Koume to earn points. 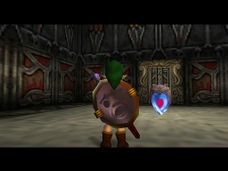 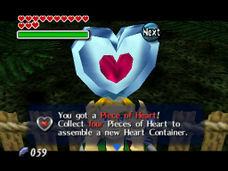 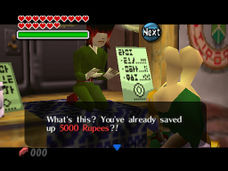 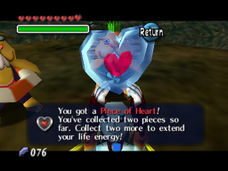 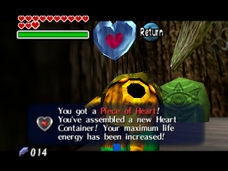 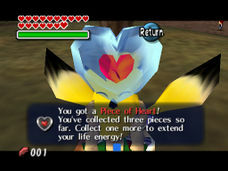 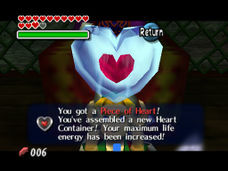 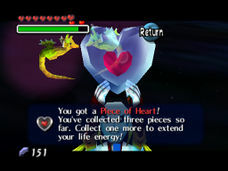 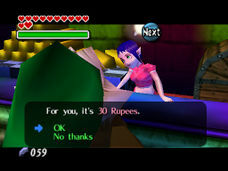 Earn enough to win the Piece of Heart.3DS Version Difference: In the 3DS version of this game, your prize will be an Empty Bottle instead of a Heart Piece. 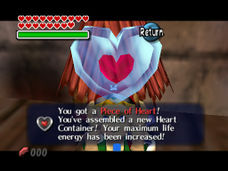 Enter Honey & Darling's mini game shop each day in East Clock Town and complete the different game on all three days to win the Piece of Heart. 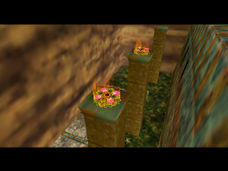 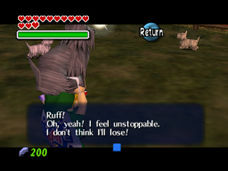 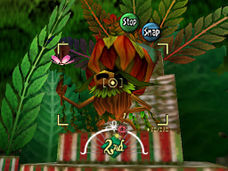 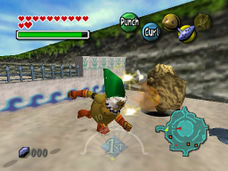 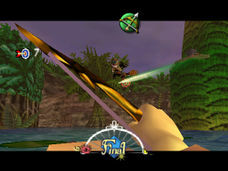 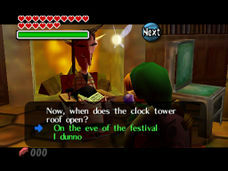 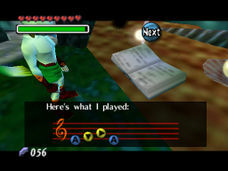 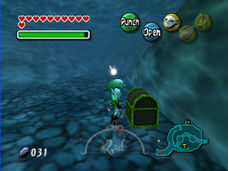 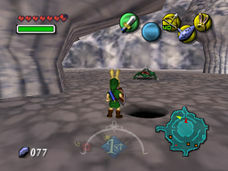 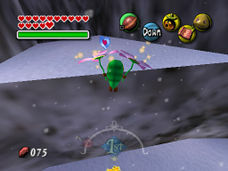 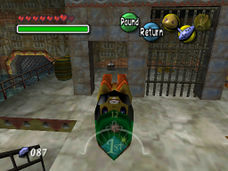 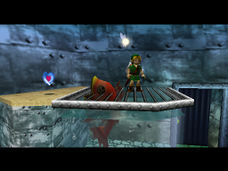 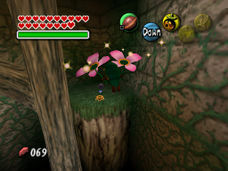 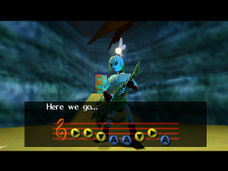 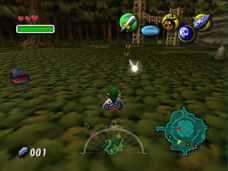 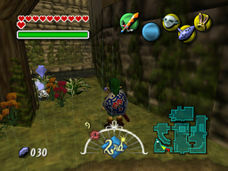 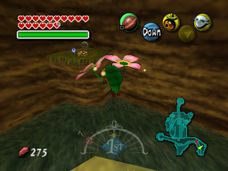 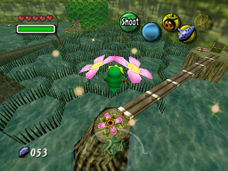 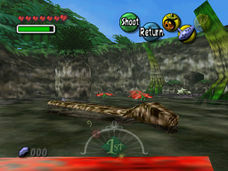 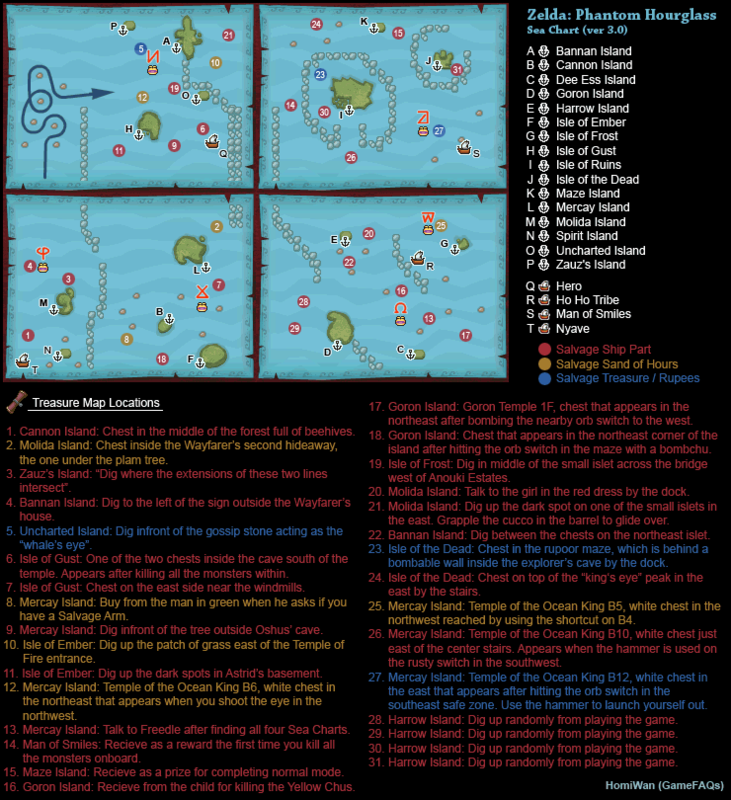 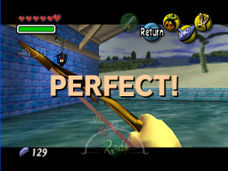 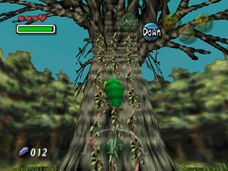 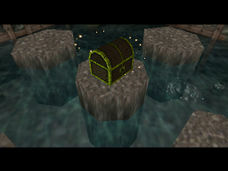 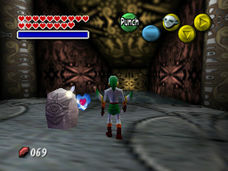 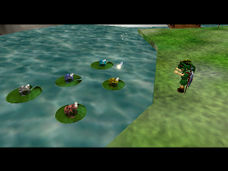 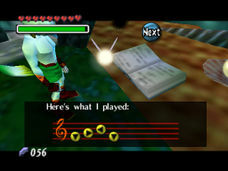 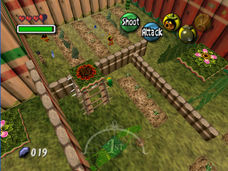 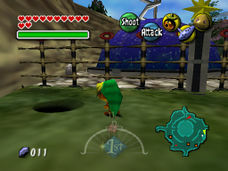 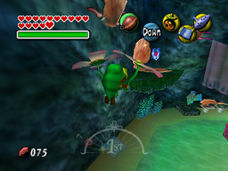 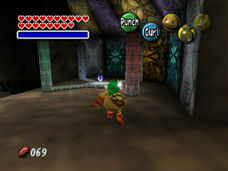 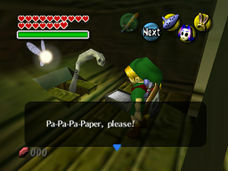 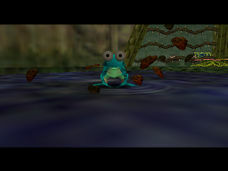 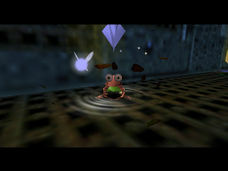 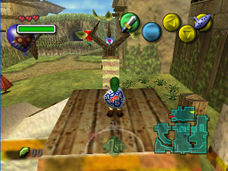 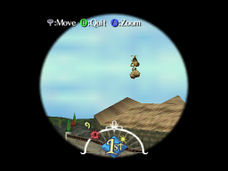 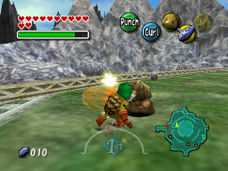 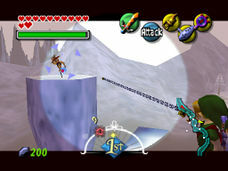 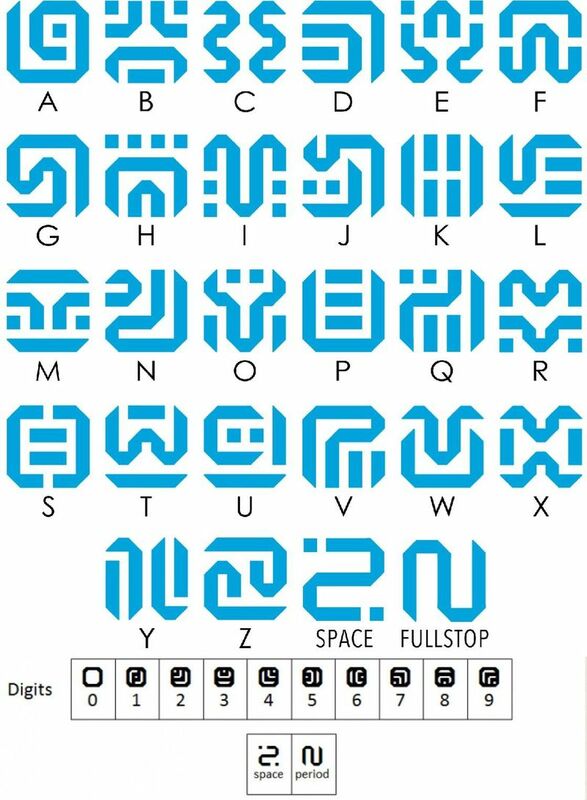 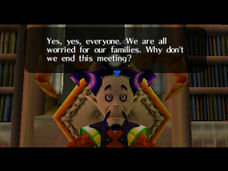 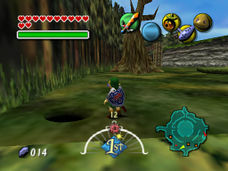 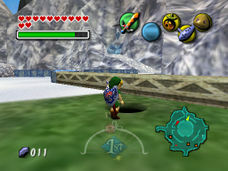 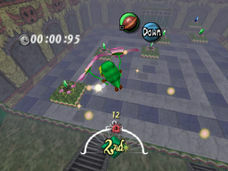 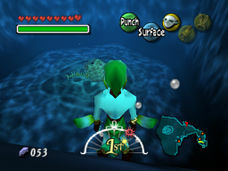 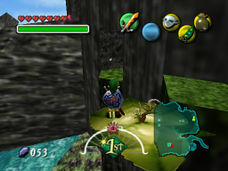 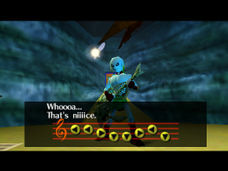 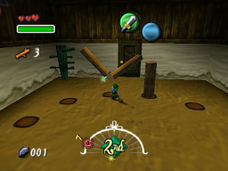 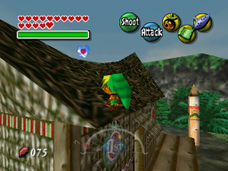 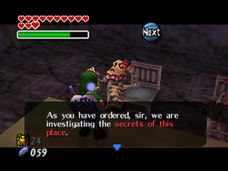 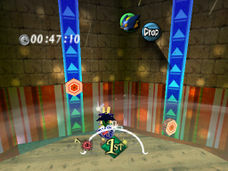 The Laundry Pool at Clock Town On a log at the Southern Swamp where you head to the Deku Palace in the non-poisonous area of the water At the Woodfall Temple, defeat the Mini-Boss Gekko At the Great Bay Temple, defeat the Mini-Boss Gekko. 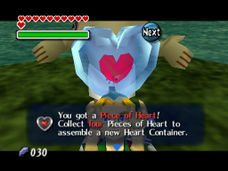 Afterwards go to Mountain Village (ONLY DURING SPRING) and talk with the frogs while wearing Don Gero's Mask to get this Piece Of Heart.